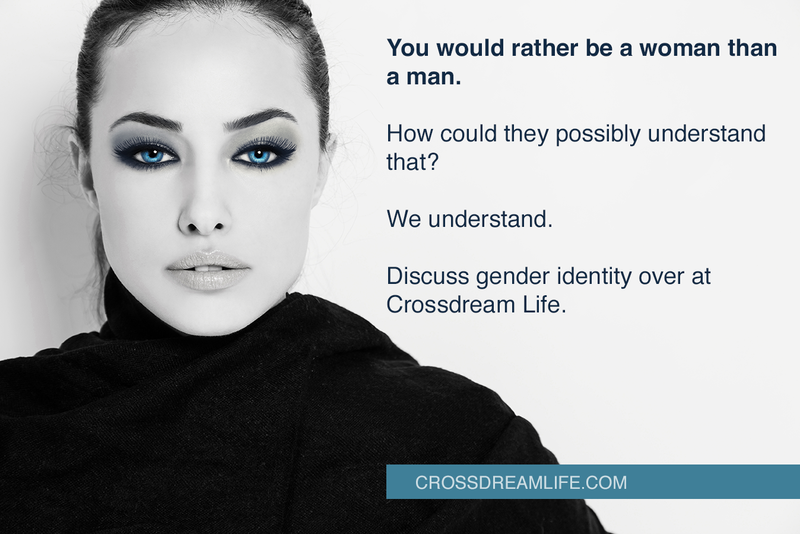 The Crossdreamer Survey on Gender Variance was carried out in late August 2014 and aimed at generating new insight into the lives and beliefs of people who fall outside the traditional gender norms. 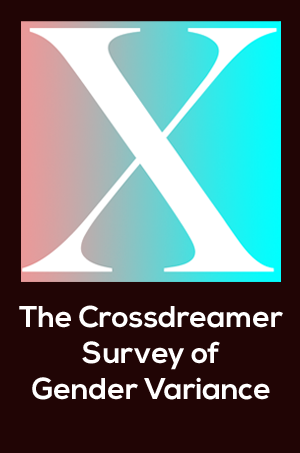 The Crossdreamer Survey of Gender Variance, some preliminary results. This blog post presents some basic data regarding the respondents, including age, gender assigned at birth, and gender identification. This preliminary presentation shows that between 89 and 97 percent of the respondents supports a broad transgender alliance. 56% of respondents believe that their sexuality and/or identity is created by a complex interaction of factors, social and biological included. This post discusses fundamental methodological choices, and how they may influence our interpretation of the data. The Richard F. Docter and Virginia Prince surrveys of MTF crossdressers.